We continue to introduce the great companies that will join us in Barcelona Tech Job Fair. This time we want you to meet Vistaprint, which is a Cimpress company that empowers millions of business owners worldwide to market themselves professionally. About 20 years ago, Robert Keane wanted to give small business owners access to the same high-quality, custom-printed products that bigger companies enjoyed. He developed a patented technology that delivers professional-quality printing in small quantities, affordably. Next, he took a process that was traditionally only available offline and made it possible for business owners to create and order their custom materials online – from the convenience of their own computers. Millions of customers (and billions of business cards) later, they have greatly expanded their offerings and advanced their technology, and their commitment to helping others promote their business is stronger than ever. They believe in putting the customer at the center of everything. In order to get the best products and experience possible, they empower their teams with the autonomy and the responsibility to make decisions that will bring them higher value. They are a true Agile company and they are heavily focused on technology and innovations. At Vistaprint, they chose the “squads and tribes” model of teamwork. The squads are teams of 3-5 engineers, redesigned to feel like mini-startups. They have everything to design, develop, test and release the software to production They are self-organizing and decide their own way of working. Now they are looking for software and data engineers with a passion for their profession and a great sense of ownership. Working at Vistaprint you will have many benefits and perks including private medical and life insurance, sponsorship for public transport cards, summer working hours and flexible schedule, tuition assistance programs, free language lessons and many others you will appreciate and enjoy. Do you want to meet this amazing team and get a chance to be a part of them? 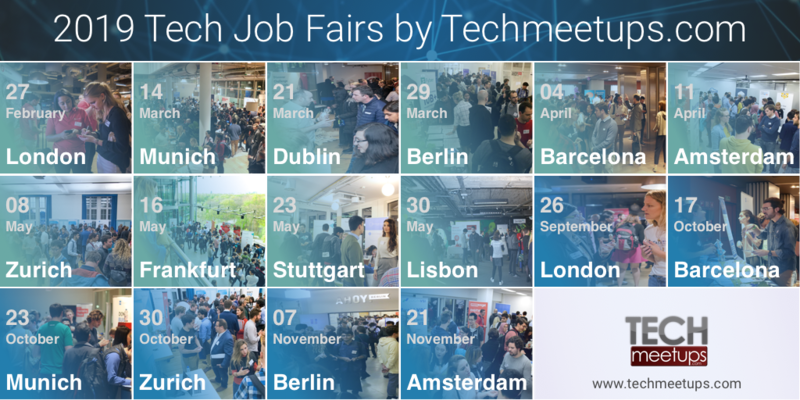 Barcelona Tech Job Fair is for you. Get your tickets now!